It’s time to clean out your closets and make some money without a lot of hassle. 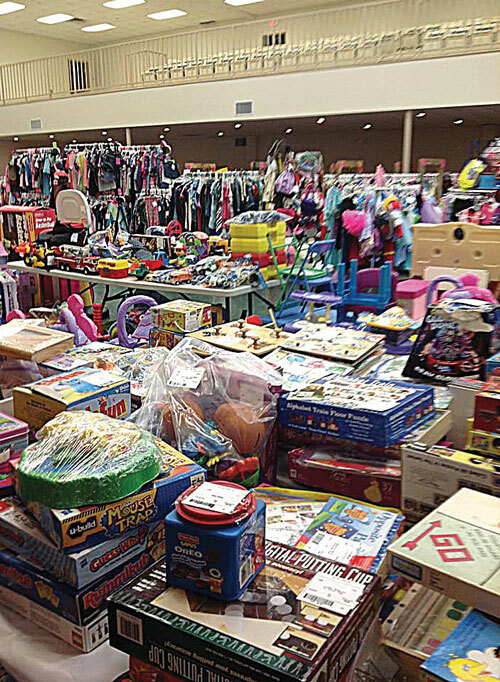 The Twice as Nice Kids Resale Event is gearing up for a fabulous week long party that can net you some hard cash and help you find just what you’ve been looking for in the way of children’s items. As a consigner, you have the opportunity to sell your gently used children’s, infants, maternity items and clothing receiving 65% of your selling price for those items. Event Coordinators and Directors, Becki Baron and Angie Hamric will also accept new items to sell. That means more opportunities for you to clean out your clutter and make more money! Consignors also get the opportunity to shop at pre-sales before the public shops! Shoppers have the opportunity to purchase quality items at great prices! There will be over 600 consignors!! You will find everything you need for your little ones! Volunteers are contributors that work a 3 hour shift. Team volunteers work two 3 hour shifts. Volunteering is a great way, to see all of the unique and different items that are to be sold!! (Remember volunteers shop first, so they have first picks, and volunteers get processing fee waived!). Volunteering is easy- they just need volunteers to help with putting items out and keeping things running smoothly during the shopping days. You can sign up as a volunteer by going to the event website at http://www.2asnicekidsresale.com. This year marks the coordinators 9thyear to bring this fabulous week of shopping and selling to the Mississippi Gulf Coast and their 2nd year in D’Iberville. There are details on the website that will tell you how easy it is to join in the fun and drop off your tagged items to be sold. There is a $10 consignment processing fee that will be assessed from your check after the sale. All checks will be mailed about two weeks post-sale. Some of the items you will find at the sale include bedding, shoes, children’s room décor, rocking chairs, play pens and toys. If you like to shop in style and in the air-conditioning then this event is the place to go! 8/12/14 Tuesday- drop-off for consigners 9am-2pm/team volunteer pre-sale 4:00pm-9:00pm/ volunteer pre-sale 5:00-9:00pm/consigner pre-sale 6:00- 9:00p.m. 8/16/14 Saturday- open to public 1/2 day sale 9:00am-2:30pm/ Pick up for consignersfrom 6:30pm-7:30pm. Posted in Making a Difference on August 5, 2014 by Admin.